Bo! 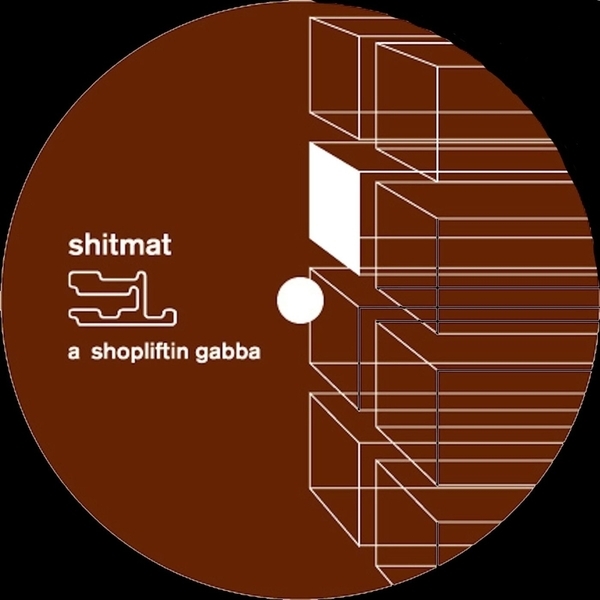 Mu unleash more dancehall decimation with the debut from Brighton's Shitmat, sparking off with "Shoplifting Gabba" on side A - a distorted rudeass scuzfull of messiness, think Bloodclaat Gangsta Youth Vs The Bug slipping into a gabbacore frenzy of drops and pummeling beats jumping off and into the seriously rude vocal stylees. Ace! "Witness" on the flip gushes in with throbbing basslines and full-on Yardie toasting, messy and fruitful largeness made to order. 500 copies only, Large!